Autumn is upon us good hackers and what better way to celebrate the season than with a cocktail! 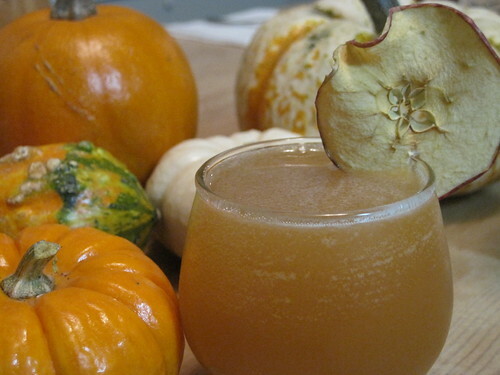 Wanting a drink reminiscent of fall with flavors to match, I reached for whiskey, apple and a touch of cinnamon and came out with a cocktail that’s easy to drink and very tasty. * I went with a blend of 1 oz Johnnie Walker Red Label and 1/2 oz Rye. I wanted a light smokey note from the Scotch with the spiciness of the rye. However, you can (and should) use whatever suits your taste. ** If you can track down Fyr from J&L Distilling in Boulder, CO DO IT! So tasty. If not, I’d recommend using a more complex cinnamon liqueur like Original Cinn from Hiram Walker. Cognac is a classic cocktail staple and Landy is a strong contender for the only Cognac I need in my bar at all. Landy has a light amber hue but the nose is where it really starts to get interesting. Stone fruits and specifically black cherry are the stars with vanilla, maple and spice notes playing the chorus. The aroma is tremendously smooth with no notable alcohol zing. The flavor follows hand in hand with the stone fruit flavors. Black cherry continues to shine the brightest with sweet notes of vanilla and spice bringing up the rear. The finish is medium-long with a great fruitcake flavor of dried fruit, subtle spice and lingering sweetness. 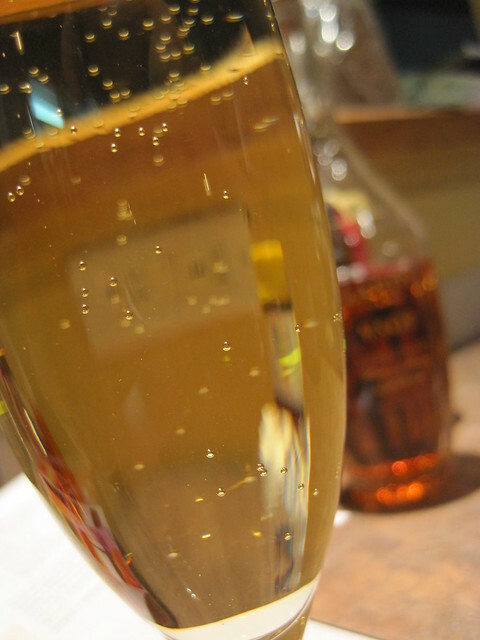 We wanted to pair this Cognac with a classic cocktail. Having some extra sparkling wine around we settled on the Stiletto from The Bubbly Bar by Maria Hunt. The Stiletto is a riff (to use the word liberally) on the classic Champagne Cocktail and it was great. The Landy really shone through and played extremely well with the orange flavor of the Grand Marnier. I think the sweetness of the Proseco we used was a good choice as it gave the cocktail a light sweetness without being cloying. 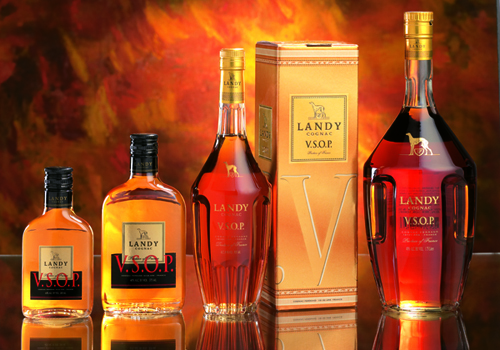 Having sampled Landy VSOP both straight and in a cocktail, it plays both roles tremendously well. It’s flavors are distinct and smooth enough to call for you to have a snifter and it’s strong enough to stand up to other ingredients in a cocktail. Definitely one to keep an eye out for. The New Old Bar is a cocktail book authored by The Hearty Boys (Steve McDonagh and Dan Smith). The Hearty Boys have gathered a great collection of cocktail and snack recipes for your enjoyment. The book is very attractive, with great pictures and easy to read text. The Hearty Boys first cover some of the cocktailing basics in Chapters 1 & 2. 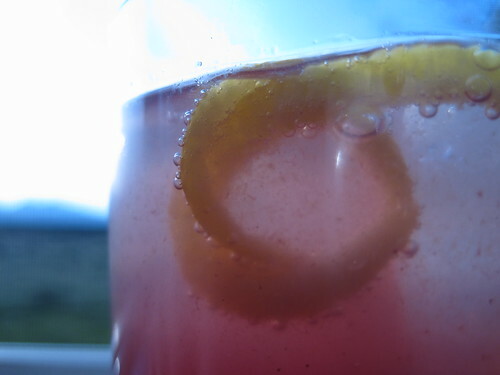 Chapter 3 has a great selection of over 150 cocktail recipes for you to peruse. These cocktail recipes cover everything from classic cocktails such as the Manhattan to original recipes. Recipes for garnishes and bar snacks are also provided. We tested out a few of the recipes in this book. The first of these was the “Mayfair” cocktail – a blend of gin, apricot brandy and orange juice. This one was definitely tasty and easy to drink. 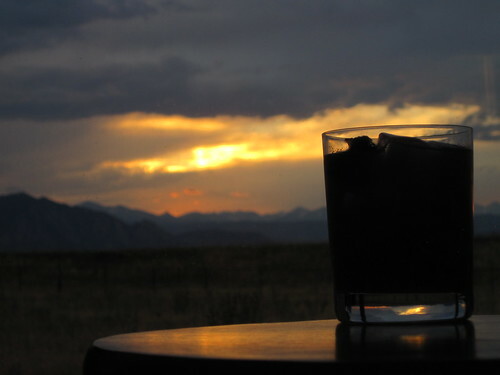 The Eastern Sin, a scotch-based drink wasn’t my favorite, but it could really appeal to someone that appreciates a unique cocktail. Finally, we tried the Sloe Gin Froze. This drink was a blended drink, which was absolutely perfect for July. As published, this recipe was way too sweet for Reese. I tend to prefer the sweeter cocktails, but I would probably even eliminate the simple syrup. If you are looking for a good summer cocktail, I highly suggest giving sloe gin a try. 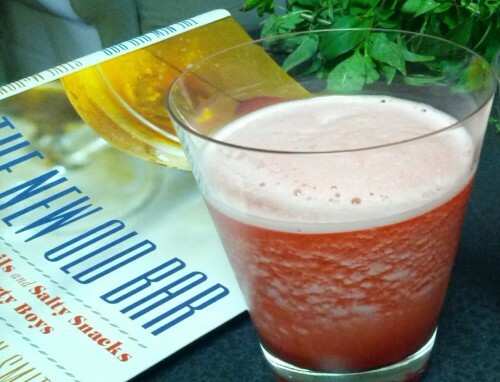 If you are looking for a well-rounded cocktail recipe book, pick up “The New Old Bar” at a bookseller near you! Combine the ingredients in a blender and blend on high until smooth. Pour into a well-chilled glass and serve garnished with a lemon wheel. Yield – 1 cocktail.